The sky is so blue today. There is not a cloud, contrail or chemtrail in view. 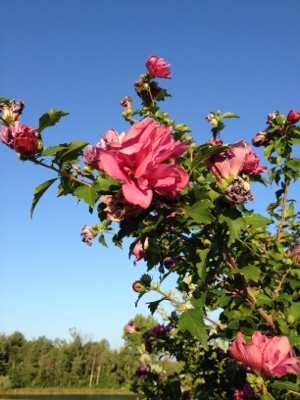 Corn has tassels, Rose of Sharon aka Althea is in bloom!